Whether you’re looking for a new job or switching careers, job hunting is a big deal ! Maybe you are experiencing conflict or you’ve achieved everything you can out of your current role. Maybe you’re just bored. Gone are the days where an employee sticks with one company for their entire career. Most people stick around for 2-3 years before moving on – that’s the hard truth. Company culture can tell you a lot about how satisfied current employees are, how much they’re valued, how senior management will treat you, and more. Would you want to join a company whose values don’t align with yours? Of course not. 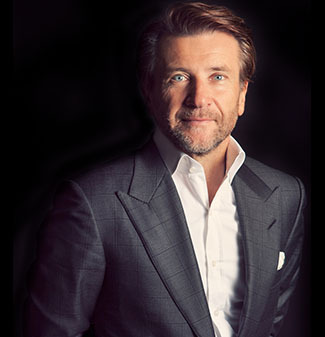 I founded Herjavec Group 14 years ago, but we still operate like a start up. We may be 300 people but the pace at which we move is incredible ! Nothing in the cybersecurity landscape is the same two days in a row and our best people can keep up and adapt quickly. With this in mind, we recognize the pressure that our employees are under and do our best to offer rewards such as socials, catered lunches and employee appreciation days. The last thing you want to do is take a job position that’s easy. Easy is boring. Look for a challenge; a role that will take you out of your comfort zone and propel you forward in your skills. If the new position doesn’t intimidate you, look for something else. Make sure your new company allows you to progress within your role and responsibilities. I love sharing the story of our SVP of Technical Operations who started with us as a project manager 7 years ago. He showed initiative, learned different areas of the business and has excelled as a leader on our team. Take the initiative and rise to the occasion – onwards and upwards ! Compensation is an undeniable determining factor in the decision to choose one job over another. As we move to different phases in our personal lives, our needs change. Be gracious but clear about what you’re expecting in your compensation package – whether that’s for your salary, vacation time, benefits, or the extra perks. There should be no room for surprises after you’ve signed the contract. The last thing you want to do is join a company that’s not going anywhere. Your friend from college might be building the next Facebook and wants you to be a part of it, but if there’s no clear vision for growth, get out. Herjavec Group is a fast-paced industry leader and we want security experts who can keep up with the pace of change. We’re looking for experts to deliver customized and flexible cybersecurity solutions to our clients; the world’s largest banks, gaming companies and utility providers. Whether you join us at Herjavec Group or are on your own path, here’s to your success!